Great topic this week, no? I love it because it is SO relevant and pertinent in our society today. And I have a lot of opinions on the subject, so I'll try to formulate my thoughts clearly. Ok, so settling. Would I ever consider it? I had a moment with my family on our way to my cousin's wedding this year when we were talking about a relative who's never married. This lead to someone telling me that I better stop being so picky otherwise I'll end up like this relative. That hurt. A lot. I really don't think I'm that picky...I just know what I want and I know that I'm not willing to bend on certain things. But despite me knowing all of this, it still led me to wonder if maybe I was too picky. Maybe that's why I'm single. Maybe that's why I haven't been on a date in 3 years. Maybe that's why I've only dated 2 guys. We all have moments of weakness where thoughts of "my standards are too high" or "no one will ever meet my expectations" or "all the great guys are taken" creep in...which then lead us to thinking/considering that maybe, just maybe, we should lower our standards and be more "realistic". Well I'm just going to come out and say it: that's a bunch of crap. Your standards are not too high. All the great guys are not taken. Now, it's here that I think we need to understand the difference between our non-negotiable standards and preferences. Non-negotiable standards are things like good morals, a strong faith, enthusiasm or [at the very least] a willingness to practice NFP and raise children in the Church. We've all got non-negotiables. Some are different than others, some people have more than others. Preferences, on the other hand, are things like "I like tall guys", "I appreciate good facial hair", "it would be so great to marry someone who can play guitar", etc etc etc. This list could go on and on and on. The importance behind understanding the difference between your non-negotiables and preferences is that if you are going around thinking that EVERYTHING on your "dream husband laundry list" is non-negotiable, well, then you might think that you're going to have to "settle". But really, while I prefer tall, musical, dark-haired guys, if I meet a guy who is perfect for me in all ways except for the fact that he's my height, blonde, and can't carry a tune in a bucket....well, am I really settling? Because he still sounds pretty great. So, you might have to be a bit flexible in certain areas. But let me affirm you in this: looking for a chaste, Christ-centered, fun relationship? That is not unrealistic. Another thing that I think is important when talking about standards and expectations in your future mate is the understanding that your standards/preference might change. What I wanted in a husband when I was 18 is really very different from what I now look for in a potential spouse. Cindy at The Veil of Chastity so eloquently touches on this in her Sexual Attraction post. What you're looking for and are attracted to at 18, 23, or 25, will likely be different! Does that mean that you're settling if you marry someone who your 18, 23, or 25 year-old self would shake their head at? I don't think so. Even some "non-negotiables" might change slightly. When I first began college, I was convinced that I would never ever ever consider dating a guy who wasn't Catholic. It would be too hard, I told myself, if we got married and he wasn't Catholic. I couldn't do it. But as I've grown in my faith and trust in the Lord, I know that if He calls me to marry a man who is not Catholic, His plan is perfect and it's going to be just fine. Now, some women will "change" their standards and be more "flexible" because they're simply afraid that they'll never find a holy, Catholic man to marry....that's not ok. Because that's not complete and total trust in the Lord and His goodness. Don't act in fear. That isn't from the Lord. Overall, I think the best way to ensure that you don't "settle" is to know yourself and to know Jesus. If you know yourself, who you are, what you need, what your deepest desires are, you won't be tempted to "settle". And if you know Jesus, you'll have the faith and trust to allow Him to guide you and He will not lead you astray. What do you think? Would you ever settle just for the sake of being with someone? Link up with us over at Jen's blog! Share other single-person blogs or websites that you love! Include posts/articles that you've enjoyed that pertain to the single life, too if you want! The holidays are coming up! Family parties, friend gatherings... and you're single. How do you "cope"? Any tips or tricks? 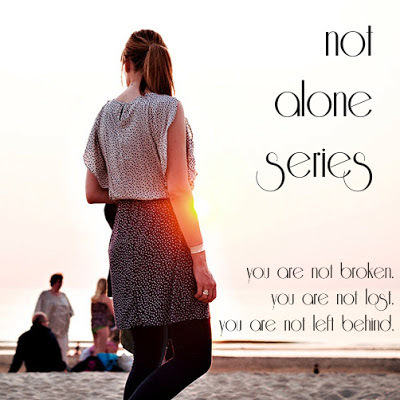 Ladies, we have decided to take a break from the Not Alone Series until January 14, 2014. I know it seems like a long time, but we are coming up on a busy season of travel and family time. We don't want to take away your time from what's most important. Feel free to continue to blog about your single life experiences, but we just won't be having anything formal until January. I LOVE how you distinguished between the negotiables and non-negotiables of a dream husband. I can definitely relate to this post as my "dream husband laundry list" used to be long. Too long. And such a good point you made of how our lists can evolve over time, I know that mine has changed even in this past year! p.s.s Love, love the new photo of you. AMEN to this post! I too have been made to wonder (thanks to society/well-intentioned family members), if my "standards were too high". It's a thought that creeps into my mind, especially as I am getting older. I often remind myself that Our Lord knows what I need, and then I try to leave it ALL in his hands. Glad I found your blog! You've been bookmarked!